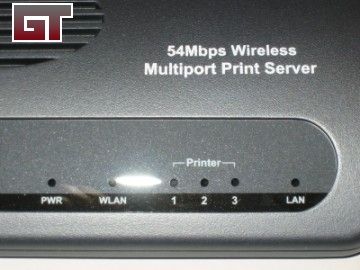 With many households running multiple computers, sharing a printer may be difficult when faced with all the networking needed to be done first. 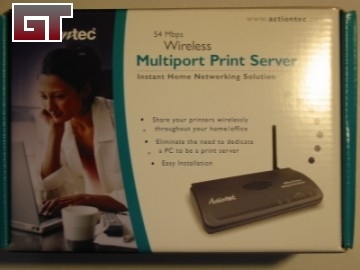 If you happen to have a wireless setup already, add this Actiontec printer server and you can get every computer connected to your printer in just a few minutes. 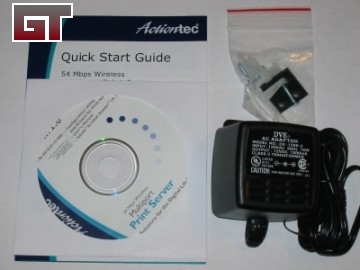 As with most Actiontec items, the instructions come in a fold out pamphlet with pictures. 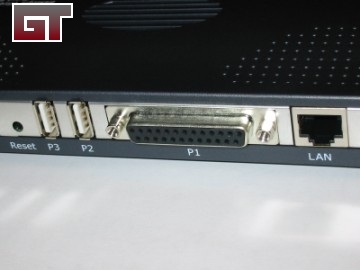 A CD is included that has the software to get this printer server up and running. 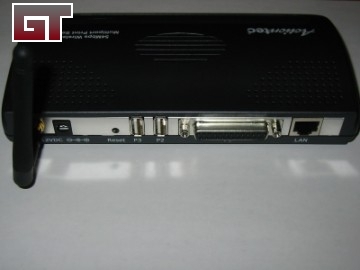 The front of the device displays indication by way of green LEDs for the the power, WLAN, three printer ports and LAN. 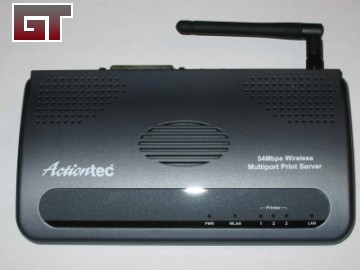 I'll get into that a bit later in the review. 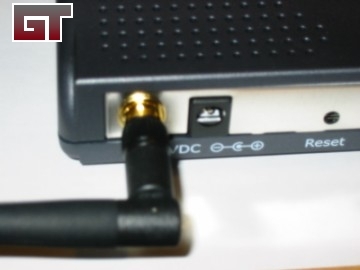 The rear of the device shows the antennae, power connector, a pin size reset button, two USB printer ports, one parallel printer port and a LAN ethernet port.